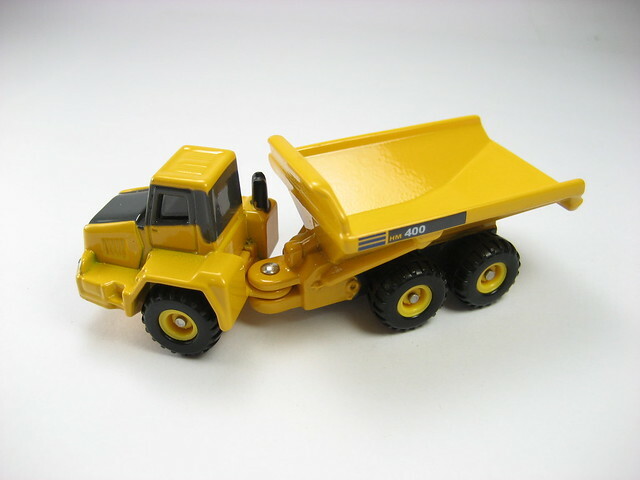 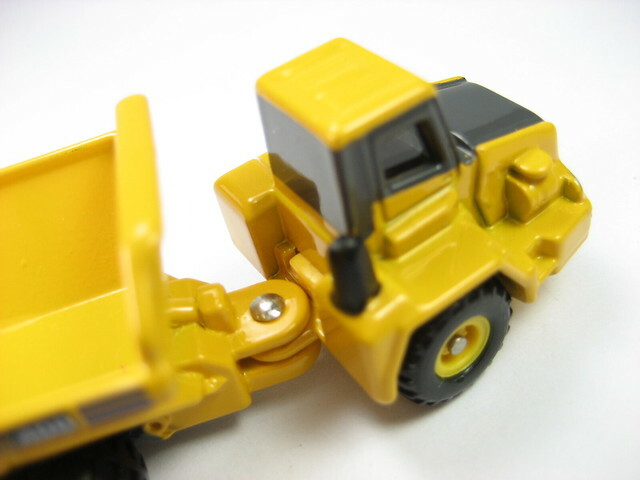 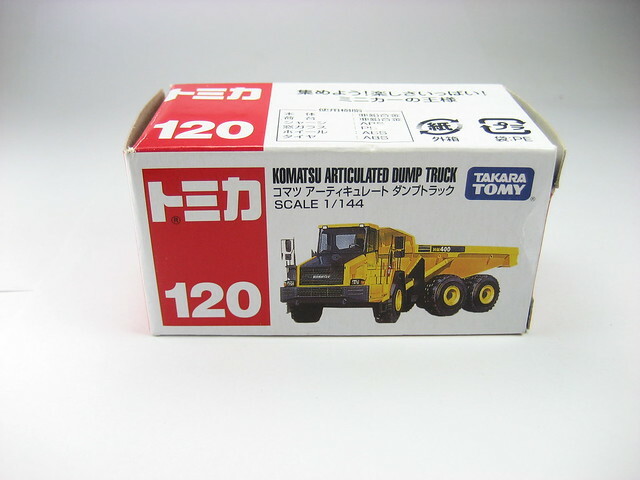 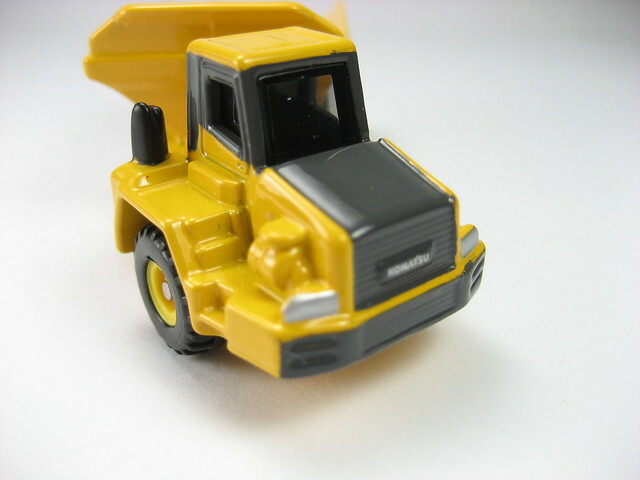 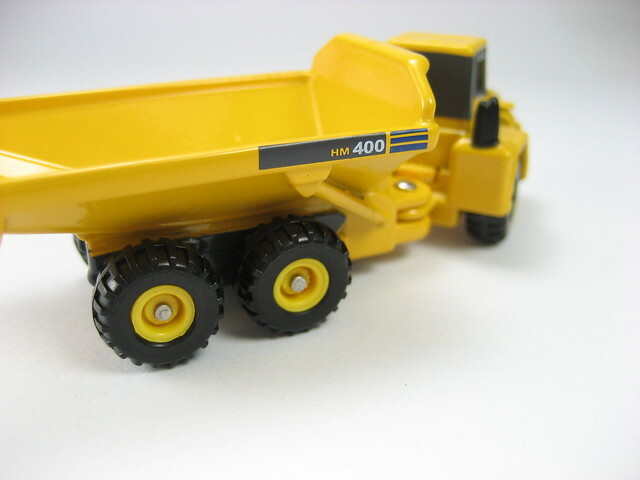 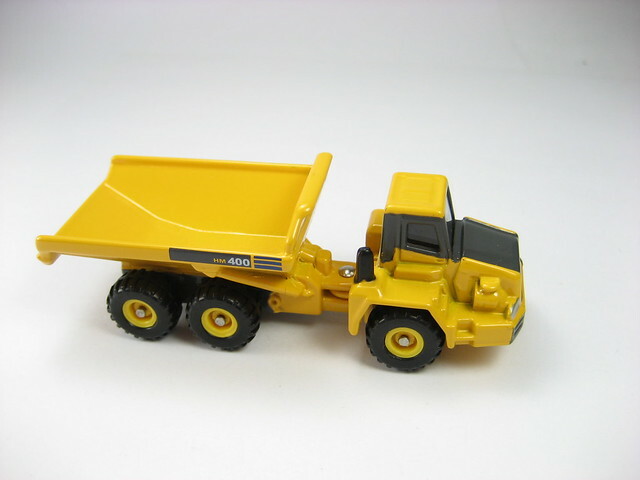 Bought this for my son today, a 1/144 Tomica Komatsu Articulated Dump Truck. 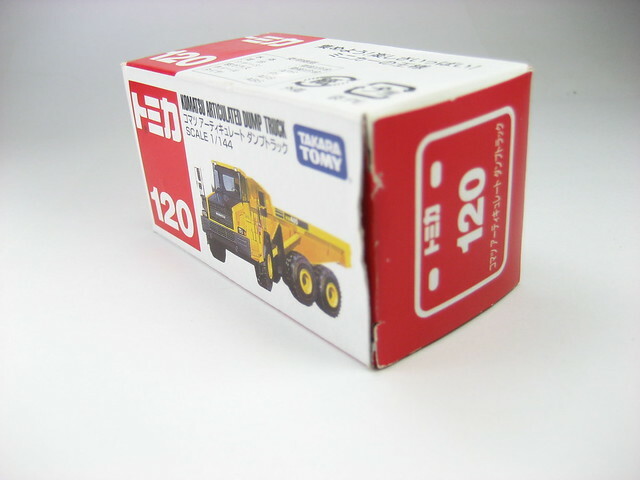 Since on the ride home he fell asleep I was able to get my dirty little hands on it in order to snap some pictures for a review *snicker* I used to think that all diecast cars of the Tomica line from Takara Tomy were in the 1/67 scale. 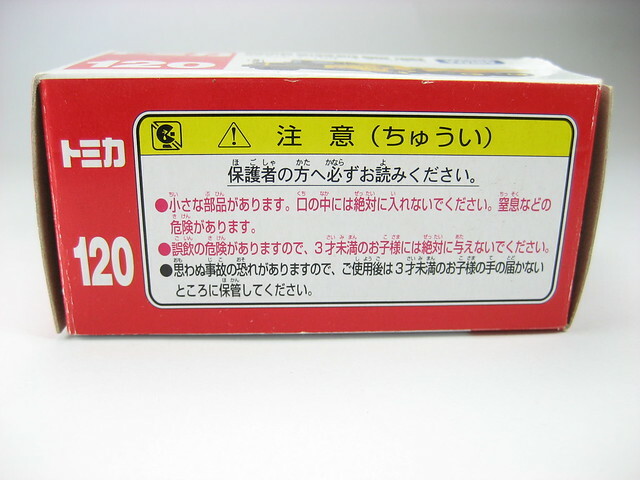 Turns out that its not after seeing this. 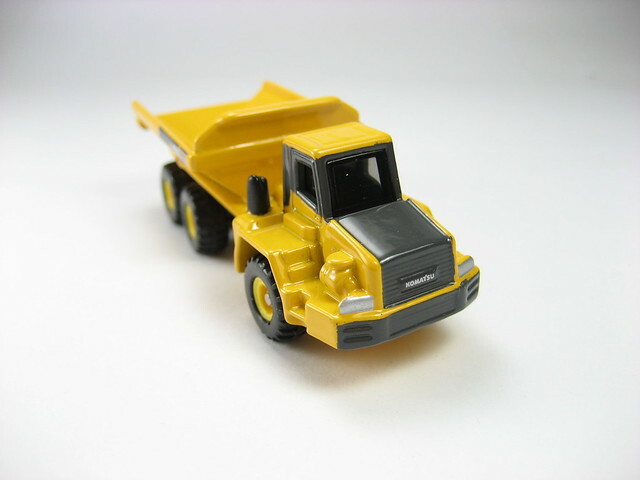 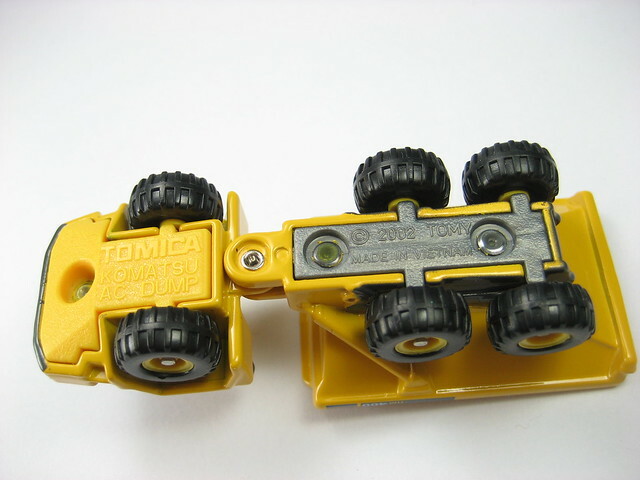 I like the quality of the Tomica line and I think that if you are going to be building a diorama that this line of toys would be a worthy addition to it because of the attention to detail that Takara-Tomy places on the Tomica toy line. 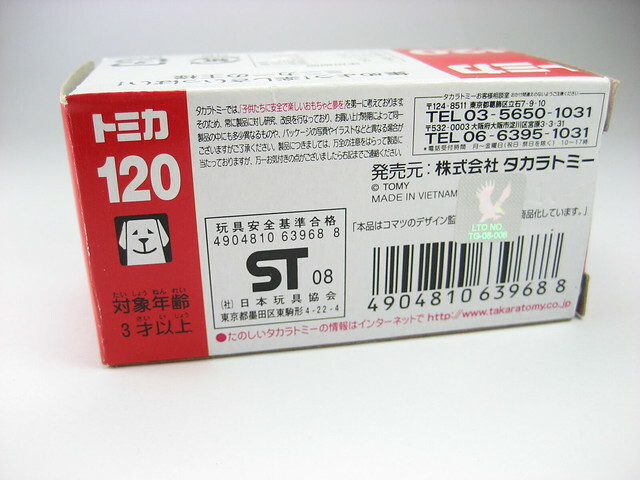 Price for this was about $3.50. 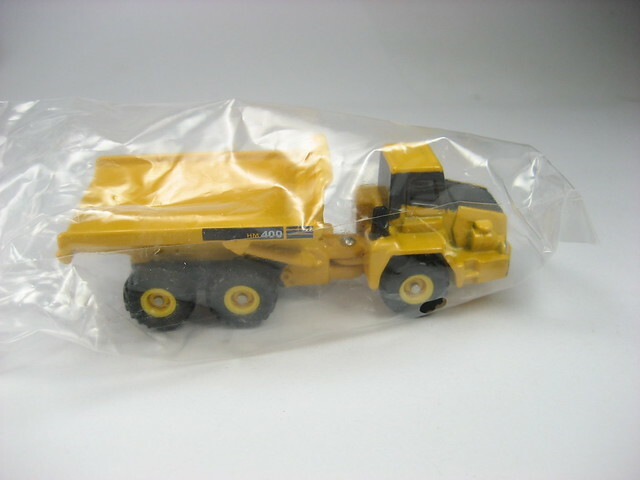 When removing the toy from box you will see that it comes wrapped in plastic package. 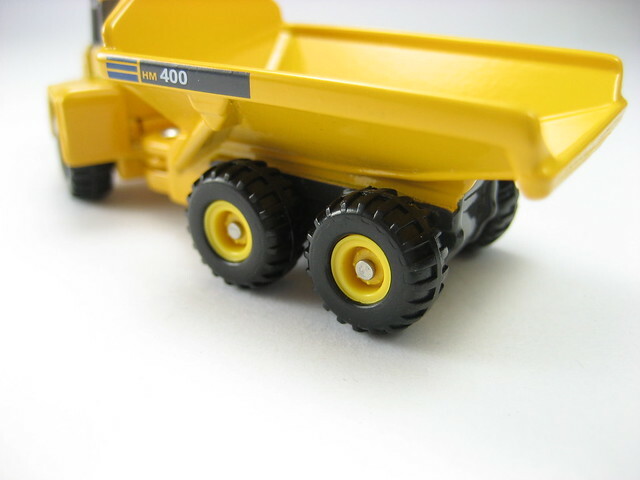 Notice the attention to detail paid to the tires, right down to the tire treads and the rivets on the hubs. 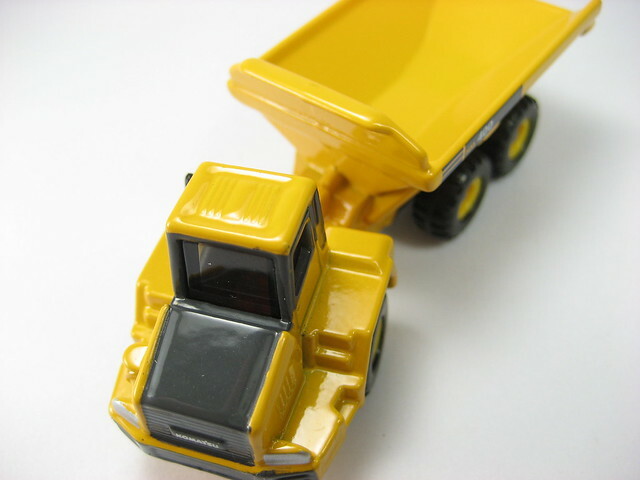 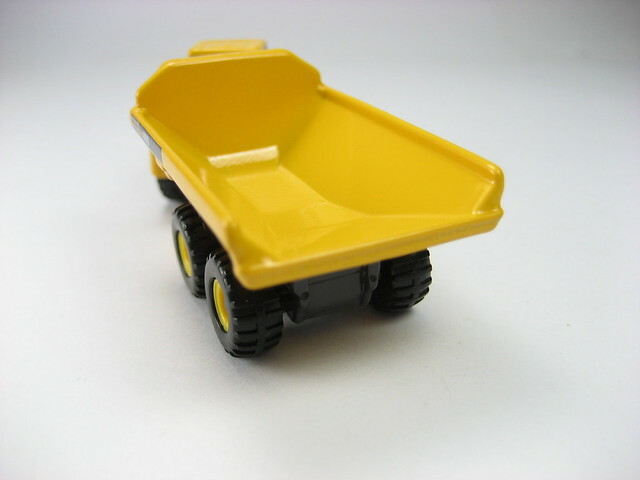 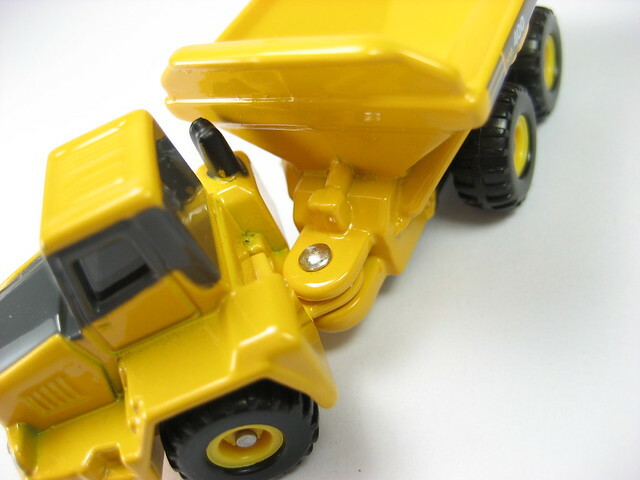 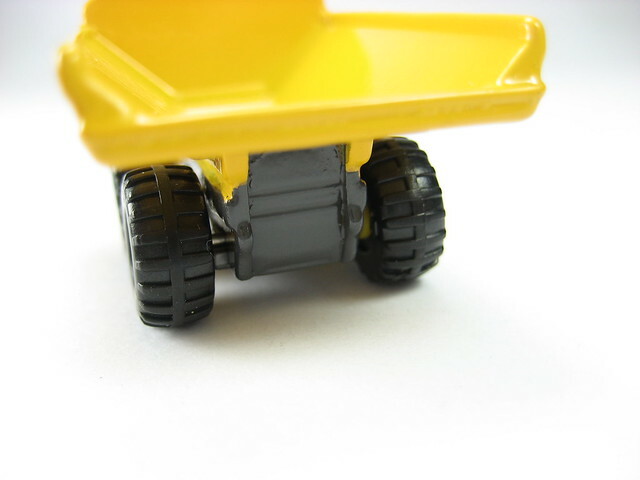 This Komatsu Dump truck toy lacks the ability to lift its bucket but I don't think that's a biggie. 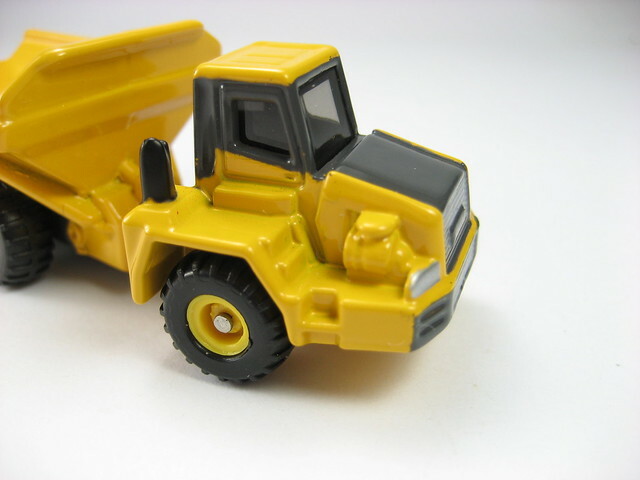 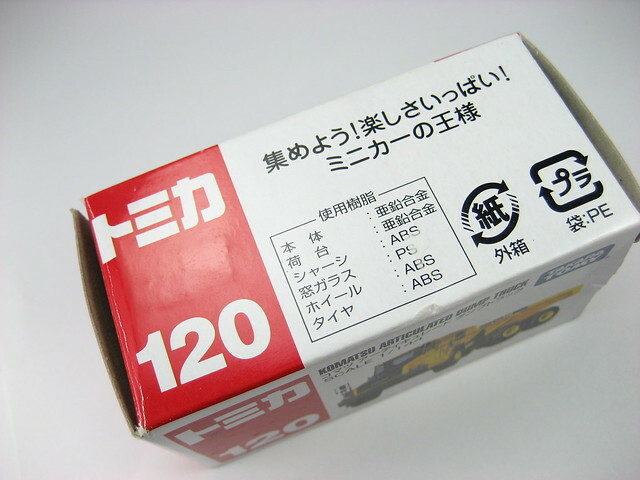 Aside from the superb panel lines and details, I'm always impressed with the accurately rendered logos of the vehicles of the Tomica line, given the small size that they are replicated on. 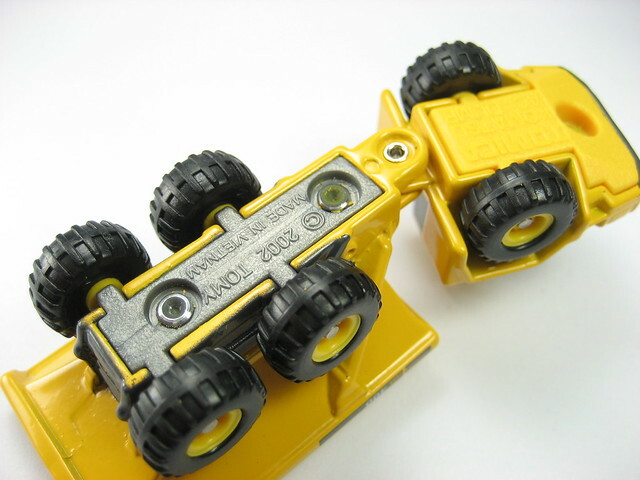 Just some warning reminders with regards to the small parts not being placed in the mouth and that the toy should be for those aged 3 yrs old and above.